1. 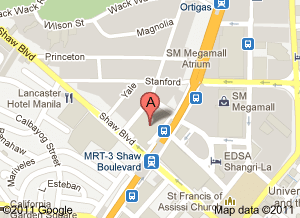 Take Tanay FX from Edsa Central or at Star Mall. For ours, we took the FX going to Tanay in an FX terminal just within the vicinity of Star Mall . You can ask the vendor or guard for direction if don’t want to waste time checking since there are a lot of terminal around that Mall. 2. 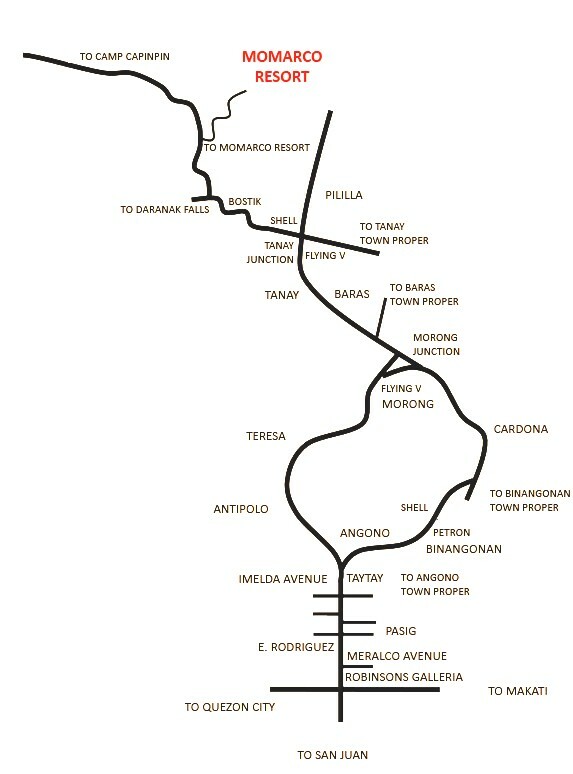 Jump off Tanay Market and take a tricycle ride going to Momarco resort. I am pretty sure that almost every driver knows the way to the resort. If you want to take a more comfortable way then you can call the resort and ask for a shuttle to fetch you from Tanay Market and don’t forget to ask for the updated cost of the service. For those who will travel with private vehicles. 1. It will take approximately 2 hours ride from Quezon City or Pasig City. Have the Map below as your guide. Just be reminded to take the left fork to avoid passing through Town proper. Check my Momarco experience here.